This week Maxwell has seemed to have come on leaps and bounds. I am in a little shock that he is nearly 3 and I can not believe how far we have come together. This week Maxwell has had a great week and has learnt a lot of new things. Maxwell can now not only put his own welly boots on, but he is also able to put his own shoes on. Admittedly they are just plain velcro shoes and it does take a while for him to put them on however it is a great achievement that he is able to put them on his self and that he can do the velcro up on them. Next I will be teaching him how to do his laces. This week Maxwell has been repeating a lot of words, he has also been using many words. His favorite words to say this week are bag, egg and loop. Maxwell has learnt these words by doing the Alphablock app on my phone. It has really helped him learn new words and has helped him to start making the sounds of letters. Maxwell is also able to now spell words out on interactive gadgets. They are only short words but I think it is extremely clever for a 2 year old to be doing. Last week I spoke about Maxwell liking light up objects, this week Maxwell has a new touch to light up walls around the house and he has a new pen which projects a light up Spongebob around the house. Maxwell adores light up gadgets and I am sure he will continue to get lots more light up gadgets to play with. This week has seen us go on lots of Autumn walks. We are lucky in where we live, we live on the edge of the New Forest so there is plenty of places to walk to. 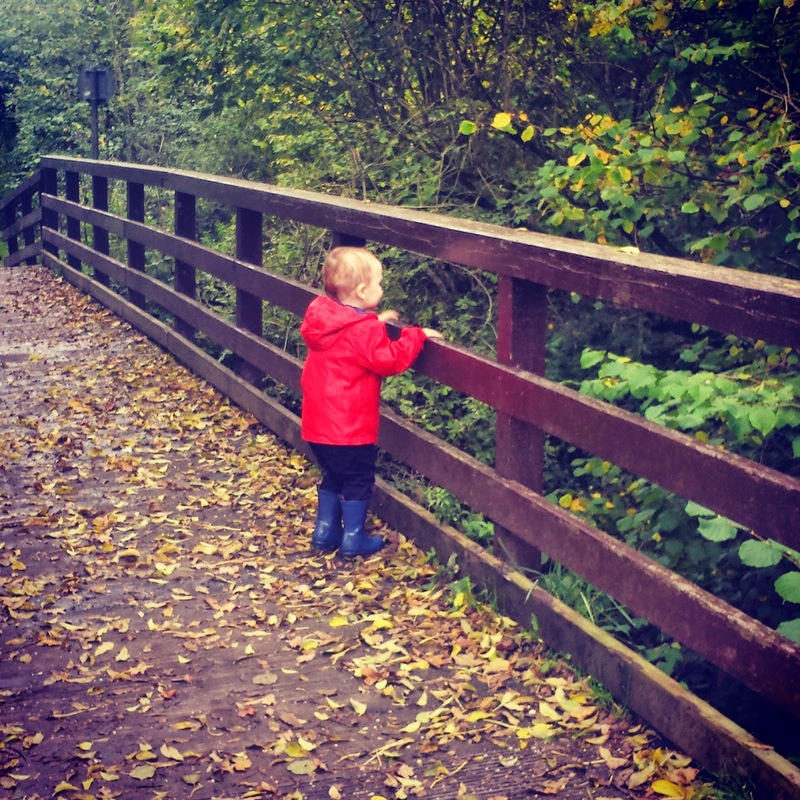 All the walking is free, not only is it fun for Maxwell to splash in puddles and visit the park on our walks but it is also great to get exercise and to breath in the fresh air. I live in a very woody area too, I have lived here since my son was Maxwell's age and I still look forward to Autumn! I love your area. Max is a lucky boy to be minutes away from the fores. Glad his words are coming on.